The relays have a 4.5kV dielectric strength and 10kV surge resistance and are capable of switching up to 35A at 277V AC. Coil voltages range from five to 48V DC. The relay is designed for the use in solar inverter applications according IEC 62109 says the company, and can be used in many other applications as well. The dielectric strength is 4.5kV between coil/contact. The relays are able to withstand 10kV surge impulse. 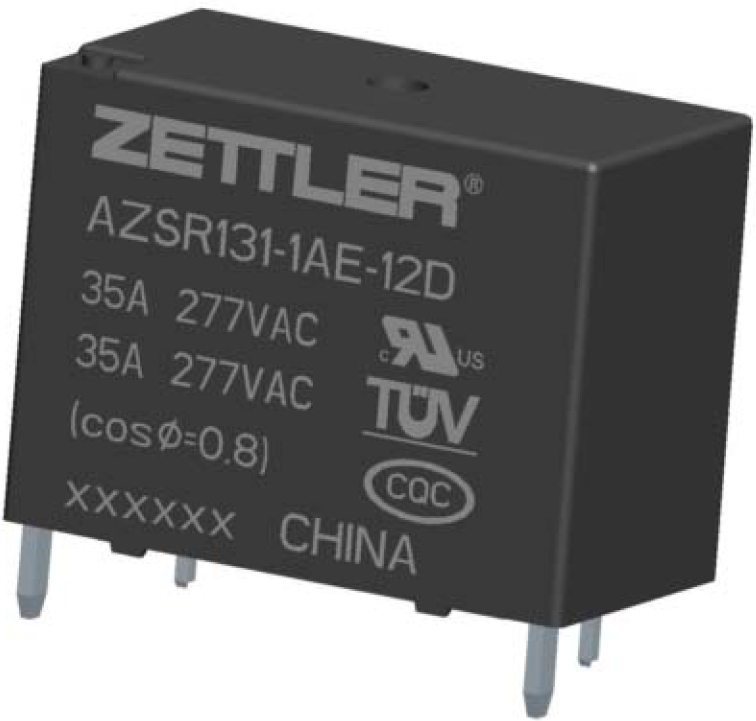 In the standard version the AZ SR131 has a contact gap of 1.8mm and a dielectric strength of 2.5kV between open contacts. A wide contact gap version (2.3mm) is also available, with dielectric strength of 3.5kV between open contacts. The electric life expectancy is specified with 30,000 cycles at 35A 277V AC at an ambient temperature up to 85°C. The relays are available with silver tin oxide SPST-N.O. (1 Form A) contacts. Class F insulation (155°C) is standard.